Sarah is fast becoming my go-to author for those twisted dark pretzel of a story that blurs the line between psychological thrillers and surreal fantasies. 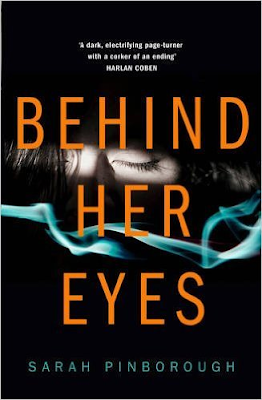 Of course, Behind Her Eyes was a runaway hit phenomenon last year after it came. A dark, real dark psychological thriller guaranteed to knock the socks off you with it's double-whammy twists that hits you at the end. The marketing materials came with specific instructions not to give away the mind blowing ending. And I agree that this definitely added to the hype and hoopla around the book making us intrigued, causing us to get to that end faster. I finished this in a week's time but I took my time purely because the premise and the story is really unsettling and caused me to stop several times and put this aside.